Obesity treatment strategies vary from person to person. Beginning treatment early is an essential part of success, and it is important to talk with your physician before beginning any weight-loss program. There are several methods for treating obesity, such as behavior modification, physical activity, non clinical weight management programs, medically managed weight-loss and surgical treatment. 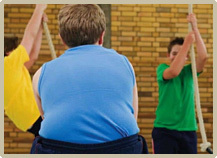 contributed to developing obesity is one way to treat the disease either alone or in conjunction with other treatments.A few suggested behavior modifiers include: changing eating habits, increasing physical activity, becoming educated about the body and how to nourish it appropriately, engaging in a support group or extracurricular activity and setting realistic weight management goals. Increasing or initiating a physical activity program is an important aspect in managing obesity. Today’s society has developed a very sedentary lifestyle and routine physical activity can greatly impact your health. Set realistic goals and make sure to consult with your doctor before initiating any exercise program. Medically managed weight-loss programs provide treatment in a clinical setting with a licensed healthcare professional, such as a medical doctor, registered dietitian and/or psychologist. These programs typically offer services such as prescription of weight-loss medications, nutrition education, physical activity instruction and behavioral therapy. Surgical treatment of obesity is an option for those who are classified as morbidly obese. Morbid obesity is defined as a patient having a BMI of 40 or greater, or weighing more than 40 kilograms over their ideal body weight. In addition, a patient with a BMI of 35 or greater with one or more obesity-related diseases is also classified as morbidly obese. There are a few different types of bariatric surgery or weight-loss surgery treatment options, such as Roux-En-Y Gastric Bypass, Gastric Sleeve resection and Adjustable Gastric Banding. Because the health risks associated with morbid obesity are life-threatening, clinical programs, such as medically managed weight-loss, weight-loss surgery and other options are available for treatment. Medically managed weight-loss programs provide treatment in a clinical setting with a licensed healthcare professional, such as a medical doctor, nurse, registered dietitian and/or psychologists. These programs typically offer services such as nutrition education, physical activity and behavioral therapy. Often, these programs incorporate total meal replacement programs. Currently there are few medications that are approved for weight-loss: sibutamine, orlistat, and Noradrenergics products. All are to be used in conjunction with a reduced-calorie diet, exercise and behavior modification. As with all therapies, medically managed weight-loss needs to be approached with a focused treatment plan, which includes a team of healthcare providers. The team should include dietitians, psychologists and exercise specialists, in addition to the medical providers to provide care at all stages of the weight-loss treatment process. If your BMI is more than 40, or your BMI is more than 35 and you have a weight-related co-morbidity, such as diabetes or hypertension, you may consider bariatric surgery (also called weight-loss surgery). It is important to speak with your surgeon to determine if surgery is right for you. When considering weight-loss surgery, you must balance the personal risk of being morbidly obese with the potential risk of the surgery. This treatment option is a tool that you will continually use to lose weight. Surgery is a resource to help you reduce your weight. Behavioral, physical and psychological changes are required for you to maintain a healthy quality of life. Continued positive weight-loss relies upon your desire and dedication to change your lifestyle with a proactive approach. Bariatric surgery encompasses all of the various operations which have been designed to cause a significant and long-lasting weight-loss in severely obese patients. Surgeons who specialize in treating obesity are known as Bariatric Surgeons. 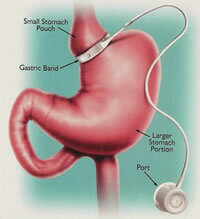 Bariatric surgery has been actively practiced by surgeons in the U.S. since the 1960’s. Recently, techniques in Laparoscopic and Minimally Invasive surgery have caused a dramatic increase in the number of weight loss surgeries being performed worldwide. Weight loss (bariatric) surgery is a unique field, in that with one operation, a person can be potentially cured of numerous medical diseases including diabetes, hypertension, high cholesterol, sleep apnea, chronic headaches, venous stasis disease, urinary incontinence, liver disease, and arthritis. Bariatric surgery is the only proven method that results in durable weight loss. This proven surgical approach, combined with the dismal failure of dieting, the marked improvement in quality of life and the quick recovery with minimally invasive techniques, has fueled the surge in the number of bariatric procedures performed annually over the last 10 years. Surgery for the treatment of obesity is only appropriate for those individuals who are considered Morbidly Obese. Because of the possible risks and complications of surgery, it is not appropriate for individuals who do not meet these criteria to undergo weight-loss surgery. A patient who is prepared and willing to commit to the lifestyle changes that will be necessary following surgery. They should have no known endocrine (glandular) or metabolic causes for their severe obesity, which is uncorrected. They should be of sound mind to understand the risks of the operation and the commitment which is necessary to be successful. They should be able to commit to regular follow-up visits with their doctor, as well as a sound diet and exercise program after surgery. 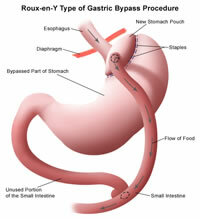 Weight loss operations can be divided into restrictive procedures and malabsorptive procedures. Malabsorptive procedures reduce the absorption of calories, proteins and other nutrients. In contrast, restrictive operations decrease food intake and promote a feeling of fullness (satiety) after meals. Some operations are a combination of both. 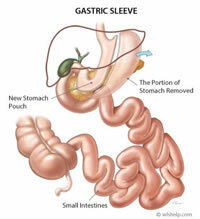 The gastric bypass, the adjustable gastric band, sleeve gastroplasty are the primary procedures used currently. What can you do to learn more about bariatric surgery? The Obesity foundation India (OFI), a non profit patient-based organization, offers those affected by obesity many valuable resources to begin educating themselves about the disease and advocating for access to safe and effective treatment. From tips to about weight loss to, the most current information on obesity and its treatments, the OFI provides individuals with the tools needed to take a proactive approach in the fight against obesity.